Miss Blush yellow Grecian maxi formal dress. Features low plunge v front and back neckline, softly gathered bust-line, into a high waistband and dramatic softly pleated full skirt. 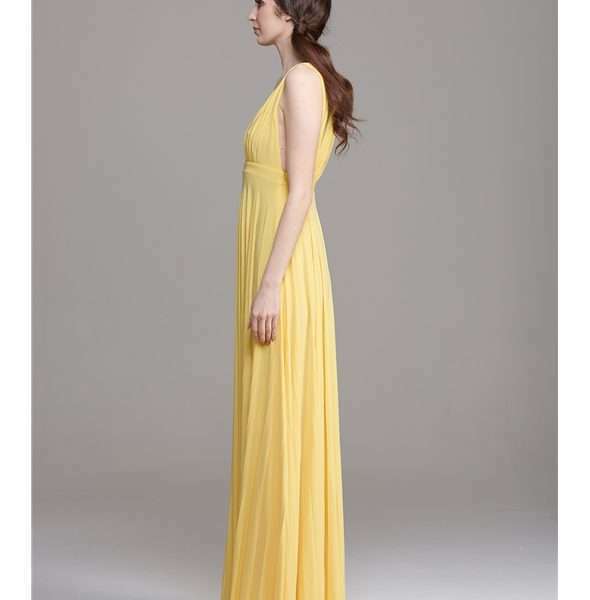 Miss Blush yellow Grecian maxi formal dress. 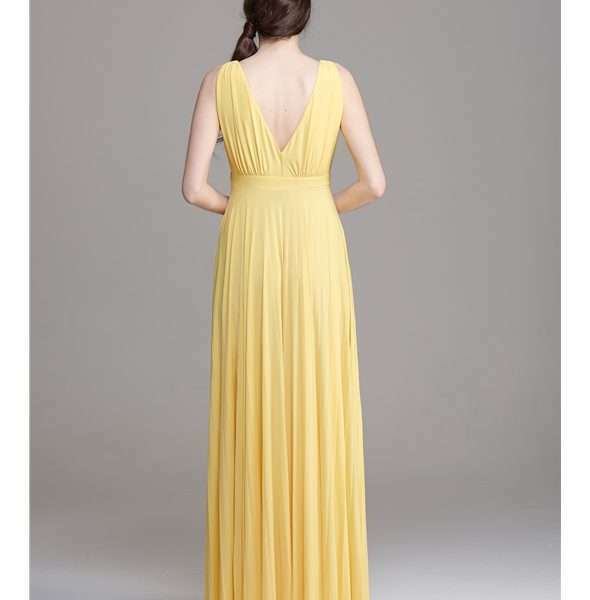 Beautifully classic, Grecian-style maxi in soft, sunshine yellow is perfect for a prom, bridesmaid or black tie event. This stunningly simple and easy to wear dress has low plunge v front and back neckline, softly gathered bust-line, into a high waistband and dramatic softly pleated full skirt. This empire line dress with the pleated skirt makes this dress easy to wear and move around in.